Toddler Sense's Terms and Conditions aim to present a fair sustainable structure to all. We aim to provide the highest quality classes for all our customers, as is our need to secure the regular employment to secure the best Class Leaders and venues available. We are committed to the safety of all persons who attend our lessons and to deliver the highest standard of service. Participating in a Toddler Sense class is entirely at your own risk without any proven negligence, breach of duty of care or lack of due diligence by Toddler Sense, your local Franchise or its employees. Your class leader may require payment at the time of booking via online card payment. Alternatively, you will receive a booking confirmation email after you register online which will inform you of the available payment methods. Payment is due at the time of booking (unless otherwise arranged). If payment has not been received within 5 days your place will be cancelled to allow other children to enrol. If payment is made through any other way than card payment using the online booking system, your place will only be confirmed on full payment. An acknowledgment will be sent with payment details however booking confirmation will only be sent when payment is received. If you pay using the online booking system, you will receive an automated reply confirming your place. Once you have completed the registration process you will receive a confirmation email. This indicates you have read and agreed to these terms and conditions. Toddler Sense is under no obligation to refund or transfer your money in the event that you are unable to attend part of or the entire course. You are welcome to attend an alternative session if you are unable to make your own session but this is dependent upon availability in the class and must be discussed first. You are welcome to offer your place to a friend as a gift. If you wish to offer your place to another, please notify us as soon as possible. Thank you for your co-operation. Regrettably we cannot offer discounts or refunds to cover your booked holidays due to the need to ensure continuity of service. You may offer your place to a friend who also has a child to a session you know you are unable to attend. You would need to inform your Class Leader in this instance. Toddler Sense offers local discounts for twins/multiples if brought by one adult sitting within the teaching circle. A parent with twins/multiples will need to have either another adult or an arrangement with another parent, should they need to take one of the twins/multiples to the bathroom. The Class Leader can never be responsible for your child. All children must be supervised at all times and not left unattended. The Class Leader cannot be responsible for a child at any time. Should a carer or associated visitor behave in a way that the Class Leader feels is unreasonable then the company reserves the rights to withdraw the provision of classes to the client. No later than two weeks before your term runs out your class leader will ask you whether you wish to renew for another term. The Class Leader will inform you of the mechanism to rebook your space and payment terms. Note however that places remain on a first come first served basis. Toddler Sense will endeavour to run classes during bad weather e.g. snowy conditions, excessive heat, thunderstorms. However, should we need to cancel due to safety concerns, parents will be notified/contacted (please check your local Toddler Sense Facebook page and make sure your phone number is kept up to date on our register). An additional class will be offered if we have to cancel a class or refund against a future term's fees. Regrettably we cannot automatically offer cash refunds. Parents are asked to keep their babies at home if they have a serious infection and to inform the setting as to the nature of the infection so that other parents can be alerted. We cannot offer a refund for a lesson missed due to illness. You may offer your place to a friend, who also has a child, to the session. You would need to inform your Class Leader in this instance. Toddler Sense has a commitment to ensure that the equipment and activities are value and worth to everyone regardless of race, culture, language, gender, age, experience, religion, background, ability or disability. The information you provide during registration contains personal data. Toddler Sense will record, process and keep your personal information secure in accordance with the relevant Australian and New Zealand Privacy Acts. Information will not be passed/sent out to a third party. We love you taking pictures or videos of your children during the course provided it doesn't interfere with the class. In addition, please always be sensitive of taking pictures of others without their permission. If you are asked to stop, please do respect the rights of others. In addition, if the Class Leader feels that the amount of video is excessive, not just short clips, then you may be asked to stop. Please remember that much of the content of the class is under copyright and while we are very happy for you to practice at home, these are not to be incorporated into another public activity without our permission. Please note that your property left in prams or bags is your responsibility and Toddler Sense cannot take any responsibility for the safeguarding of these items. 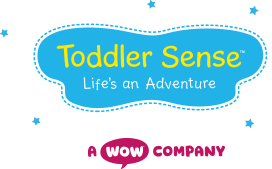 Toddler Sense follows rigorous internal checks of the venue and its own equipment to ensure that they are clean and safe. Daily Risk Assessments are conducted. Toddler Sense asks all parents and carers to remove their shoes while in class in order to reduce the chance of transmission of microorganisms. Shoes need to be worn to visit the bathroom within class times and care exercised to avoid slips. Toddler Sense from time to time updates these T&Cs. It will inform you of changes through regular channels of communication and you have 14 days to opt out of accepting changes in writing. Failure to do so will entitle Toddler Sense to treat this agreement with you as being updated with the changes.